Despite not having stepped into a TARDIS since 2013’s 50th anniversary spectacular “The Day of the Doctor,” Tenth Doctor David Tennant knows better than most what’s going on behind the scenes of the much anticipated upcoming season of Doctor Who. Not only is this the debut of Jodie Whittaker’s Thirteenth Doctor, the first female incarnation of the character, but it’s also the first season under new showrunner Chris Chibnall, who takes the reins from Steven Moffat after his lengthy tenure as master of all things Who. Of course, it goes without saying that Tennant is one of the most popular Doctors ever (and is even married to a former Doctor’s daughter), but he’s got a strong relationship with Chibnall and Whittaker as well due to his years working with them on the award winning Broadchurch. As such, it makes sense that he’s been in touch with both of them throughout production on season 11 of Who and apparently, he’s only heard positive things about what’s to come later this year. 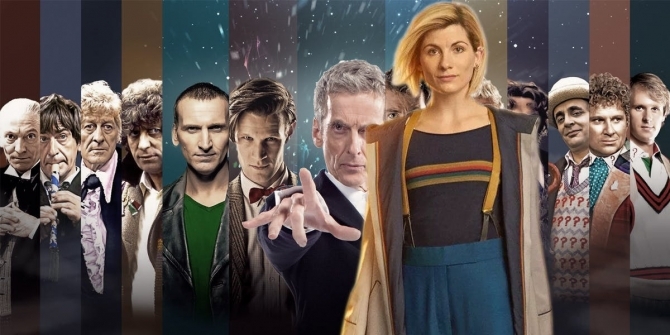 Longtime fans of the show will know that former Doctors don’t tend to permanently exit the series – every decade or so they’ll mark an important anniversary by doing a special multi-Doctor episode. Tennant’s previously been enthusiastic about the idea, too, so perhaps we’ll get to see him back in the snazzy suit, Converse and waving his sonic screwdriver alongside Whittaker’s ‘upbeat’ new Doctor sooner than we think? In the meantime, we can all look forward to when Doctor Who returns to BBC Worldwide this autumn.